Nepal signs MoU with Japan on supply of workers - Integration Through Media ....! KATHMANDU: The government has signed a Memorandum of Understanding (MoU) with Japan in regard with sending Nepali workers to the Japan’s labour market. With this, Japan has been ready to provide employment opportunities to Nepali and open its labour market for them from the official level. As he said, safe, systematic and decent foreign employment is the priority of the government. The MoU aimed to create a smooth atmosphere for Nepali human resources aspiring foreign employment so that they could reach to an attractive destination without any hassles. Officiating secretary Ghimire said the MoU had been possible within the deadline just due to intense bilateral cooperation. 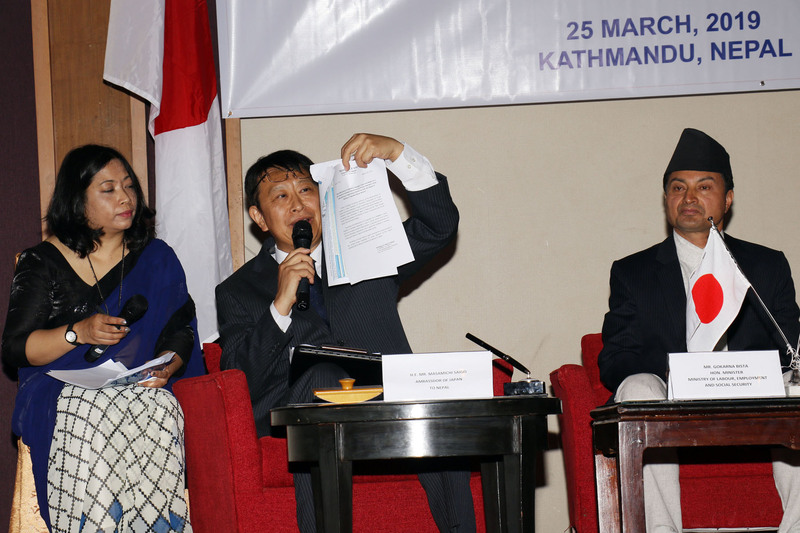 The Japanese ambassador said the MoU would guarantee perks and facilities to Nepali workers on a par with Japanese workers.